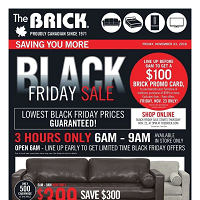 Black Friday is the day when you can save the maximum amount for the whole year. Missing out these flyers would be such a shame. 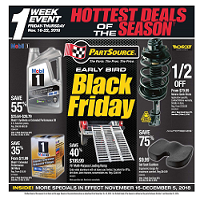 This year on Nov 23 you will have the chance to shop for the best products for prices shown on these flyers below. 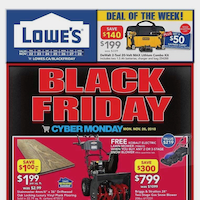 That aside, it’s really simple to browse these flyers here, instead of seeking them online. 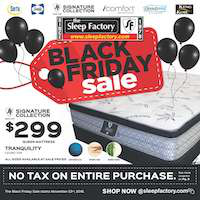 Make your list prior to the Black Friday to not get confused when the day arrives! 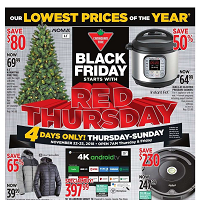 Choose your favourite products from these flyers, which are those of stores like Sears, The Home Depot and so on, and stay in the discount zone. 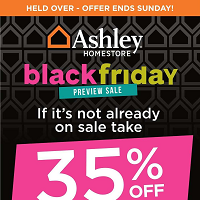 Over 50% discounts are generally applied to these products. 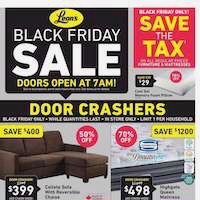 Doors might be opened in the night, get hurry to catch all the deals! It’s never been overrated. 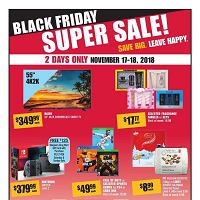 These could be the $100 savings on your dream game console or the cinema setting you have wanted for a year! 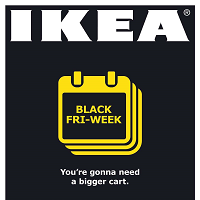 Prepare yourself with the Black Friday Flyers by using them as a viewfinder through this single week you have until Nov 23! 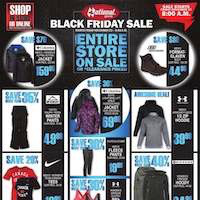 We prepared the most popular stores, their Black Friday Flyers, and sneak peek previews for online customers. These would give you the idea of what is coming on that day. 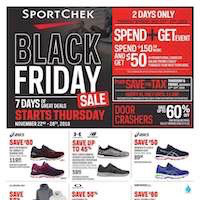 However, these might not be the only deals for the Black Friday 2018, since most stores also launched online store sales. 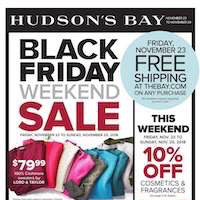 Visit official sites of the stores to see what they have. 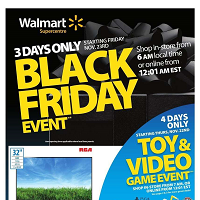 Walmart BF Flyer sneak peek preview promotes electronics on the cover page. 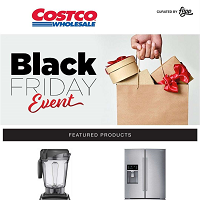 SAVE $100 with Beats Solo on-ear headphones, $160 on Roomba 618 robot, $100 on KitchenAid Ultra Power plus stand mixer. 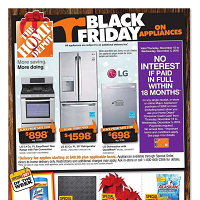 Also, game products and sets are good examples from the entertainment shelves of these Black Friday flyers. 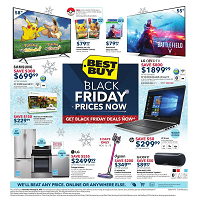 Best Buy is another major retailer that has a BF sale. 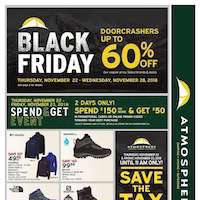 The flyer you can find below is actually a pre-sale. 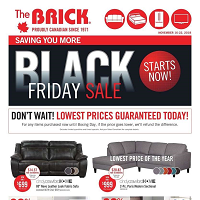 Shop these items that are priced as low as Black Friday prices. 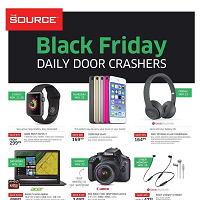 Again, mainly electronic products got promoted. Battlefront II for PS4 or Xbox One, will be $79.99. Be careful before buying that game, since I’ve heard a lot of about the microtransactions and pay2win issues. 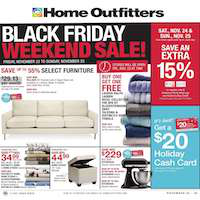 Save $1K on LG OLED TV 4K. It could be a find choice for gaming as well. 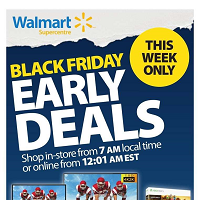 There is also a cheaper TV on the cover of Best Buy Black Friday Flyer. 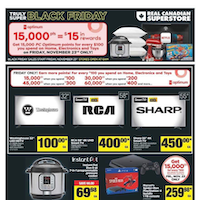 Save $200 with the purchase of Sharp Smart LED TV. 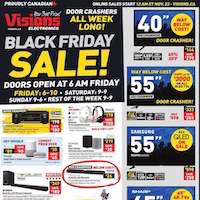 Black Friday flyers are in fact, focused on to get rid of the products they stock in a year. But that doesn’t deny the quality of these products. 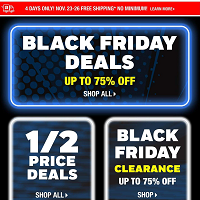 For example you can save big on Playstation 4 but it’s the most popular game console all around the world. This applies to all categories. AMD Quad Core Laptop of HP will cost you $499.99 which means $200 SAVING. 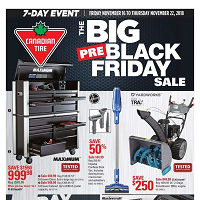 Another popular store in Canada is Canadian Tire. 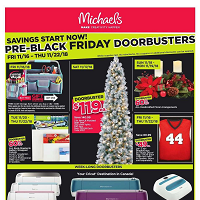 The flyer of this store contains home products and holiday decoration on the cover page. Dyson V7 pro cordless stick vacuum is a nice pick for this year. 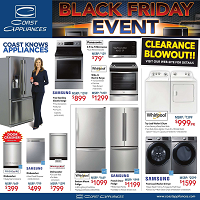 Special Buy of CT will be valid as a pre-Black Friday deal on Nov 17-19. 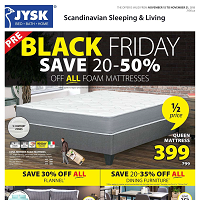 I must warn you about that these are pre-Black Friday deals. 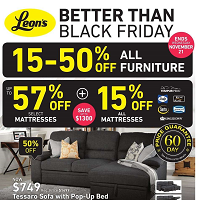 You should keep in touch to see real Black Friday deals of the most stores. 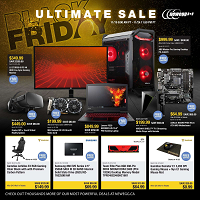 Subscribe for more deals. 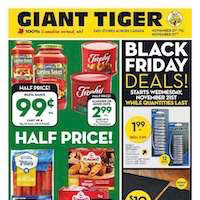 What about meat section? 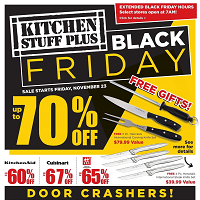 All meat varieties on your service in No Frills Flyer Good Deals 21 Nov 2017. Grill if you wish, beef braising ribs looks fantastic. For a healthy life you should eat meat and vegetables always. Breakfast is important for sure. I really care about breakfast bread. It must have a crispy corner. And wonder bread bun have it. 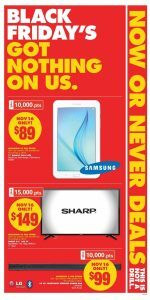 This week’ special deal is Samsung Tab E. The device has 9.6 inches 1280 * 800 pixel TFT screen with 157 ppi value. It is worth noting that the device with a size of 241.9 × 149.5 × 8.5 mm has a weight of 490 gr. The device with the Android 4.4.4 Kit Floor Operating System has a 1.3 GHz 4-core Spreadtrum SC7730S Processor Family with ARM Cortex A7 chipset. On the GPU side, MALI-400 is on the device. The average available space on a device with 8 GB Internal Storage is 5 GB. With the 1.5 GB Ram Memory, Micro SD Card input, which supports up to 128 GB per user, is also unforgettable. 720p HD Video recording capable of shooting a 2592 × 1944-pixel photo with a 5 MP rear camera with 1600 × 1200 pixels worth of photos taken with a 2 MP front camera in the preferred device. 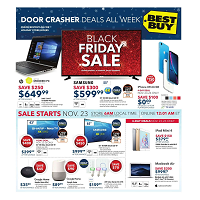 Best Buy Flyer Black Friday Deal Apple iPhone 8 Review available now. On the device, a total of 6-core Apple 11 Bionic processors are used in the iPhone X and 8 Plus. In addition, this processor can achieve up to 25 percent better performance than the A10, while increasing multi-core performance by up to 70 percent. The 2 nuclei of the renewed processor will operate in the high-performance mode while the other 4 nuclei will operate in situations requiring less power. On the RAM side, 8, 2 GB of memory will be used as in iPhone 7. On the connection side, innovative standards such as Bluetooth 5, LTE-A are waiting for us. 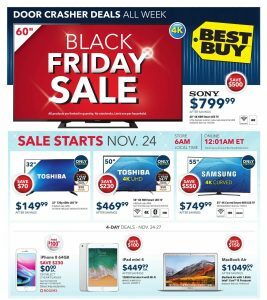 Best Buy Flyer Black Friday Deal Apple iPhone 8 Review good choice if you are looking for an Apple. There is also an NFC system specifically for Apple Pay. The main camera sensor will be 12 MP. We thought that the iPhone models that stayed at 12 MP for a long time would come up with a significant MP increase this time, but nothing like that happened. The iPhone 8 camcorder comes with incredible video performance. The camera can record 60fps at 4K resolution. Also at 1080p, this speed will be 240fps. On the front camera side, there is still a 7 MP camera. Apple continued its f / 1.8 aperture on the rear camera and f / 2.2 aperture on the front camera. On the camera side, the device is under development of other models, taking advantage of new improvements according to 7, and the video performance is enhanced as a model. 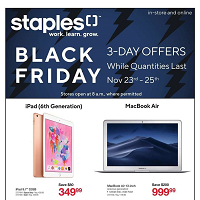 Apple iPad 9.7” 5th Gen Black Friday Deal available to check here online. 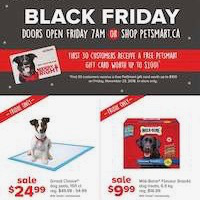 It’s really hard to find like this Black Friday deal. If you are looking for an iPad, welcome to our review today. In addition to the FaceTime camera, the front of the tablet also has a Touch ID fingerprint sensor. Let’s say the place is coming. The Touch ID sensor works quite fast and smoothly. When we look at the back of the tablet, the camera strikes eye-catching detail. The iPad Pro has a camera cap, but the new model does not have a camera cap. In this regard, let’s not forget that the iPad is going well. Unfortunately, the iPad (2017) does not support Pro features, so there is no Smart Connector connection. Since there is no such connection, Bluetooth keyboards can be paired with the tablet instead of the magnet way. Another notable feature in the iPad (2017) cellular network-enabled version is the LTE module. While the 9.7-inch iPad Pro includes a body-compatible aluminum-made module, the budget-friendly new iPad has a plastic module. Another difference that separates the new iPad from the iPad Pro is that the speaker is out of sync. The iPad Pro has 4 loudspeakers positioned on the left and right of the device, while the new iPad only has two loudspeakers on the bottom. Let’s say that sound is not as powerful as the iPad Pro, but the sound performance is sufficient. Let’s take a look at the screen performance, one of the biggest factors in iPad’s preference. Although the iPad (2017) has the same screen resolution as the 9.7-inch iPad Pro, the new iPad offers a lower screen quality than the iPad Pro’s screen. The iPad Pro’s most versatile multiplier feature is the new iPad, which includes a True Tone feature that automatically adjusts the display brightness and intensity based on the surrounding light. Unfortunately, the color scheme that offers a higher color saturation that the digital cinema industry prefers, along with the tablet, is not available. The laminating screen and anti-glare coating, which make a big contribution to the iPad Pro’s slim and lightweight, are not included in the new iPad. Compared to the iPad Pro’s screen, especially when it offers lower visibility under the sunlight, we find that the screen performance on the tablet is successful. In terms of brightness, we found the screen on the iPad quite adequate. If you are not very optimistic about screen performance, we can say that the new iPad is right for you. 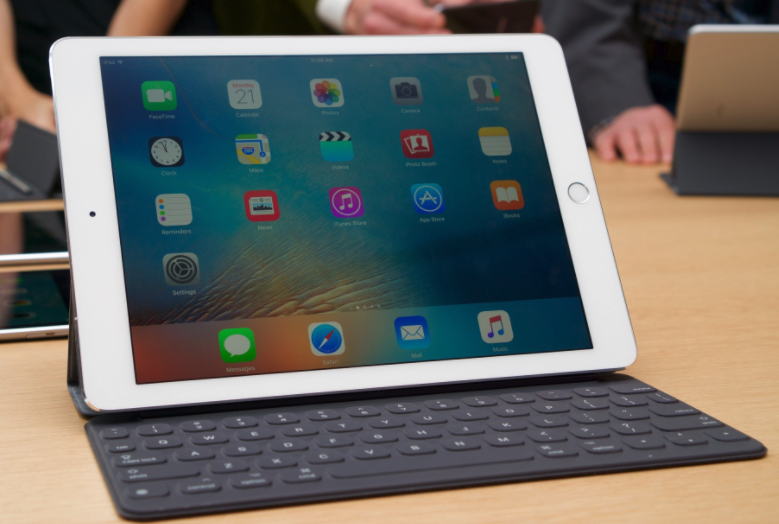 The iPad has a 5 megapixel rear and a 1.2-megapixel front camera as well as the iPad Air 2. Cameras that perform poorly than iPad Pro have average performances in sufficient light conditions. Let’s say that you will not make too many photos or video footage on the tablet and that the low resolution on your camera will not be a problem. By the way, let’s just say it. While the back of the iPad Pro has LED flash for low light conditions, the new model does not have a flash feature in the rear camera. The tablet, which only features Retina Flash on the front camera, makes it possible to shoot brighter selfie shots in low light on this screen. The Live Photos feature, which began to be used with the iPhone 6s, is among the other innovations on the Tablet. With Live Photos, moments in front of a picture taken can be moved and recorded. On Tablette iPad Pro and iPhone 7, the Hey Siri feature works only when the charger is plugged in, without having to press any key. As soon as the iPad is packed, the new iPad is an iPad model that you can buy a suitable fiasco that focuses entirely on the iPad experience instead of performance. 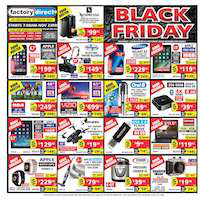 Factory Direct Flyer Samsung Galaxy Tab S2 Deal Review available to check here online. 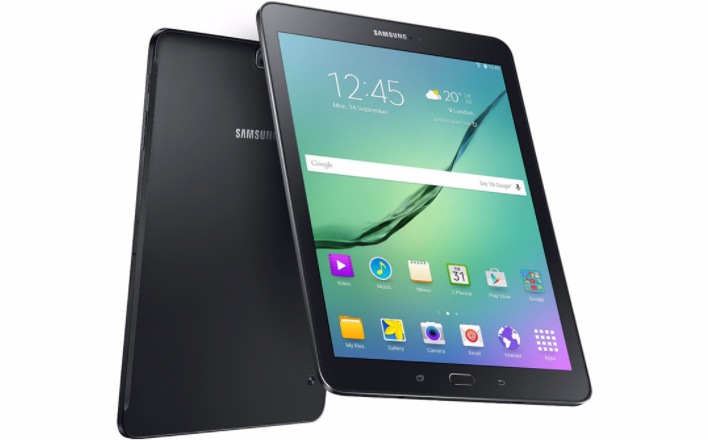 Enjoy the flexibility you have not seen before with the Galaxy Tab S2. Use this slim, lightweight device to take your e-books, photos, videos and business files everywhere you want. The 4: 3 aspect ratio display of the Galaxy Tab S2 is optimized for magazine reading and web use. Go to Reading Mode to adjust screen brightness and create an ideal e-book reading environment designed to reduce the oppression in your eyes by changing the wallpaper. 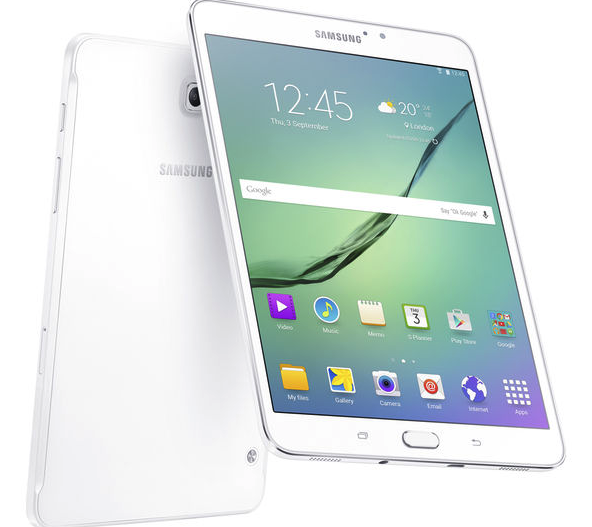 The Galaxy Tab S2’s 8MP camera and f / 1.9 aperture lens allows you to shoot videos with brighter and clearer photos than ever before, even in dimly lit environments. View your photos and videos with great clarity on the device’s large Super AMOLED screen. With Galaxy Tab S2 you can complete multiple tasks like a professional. 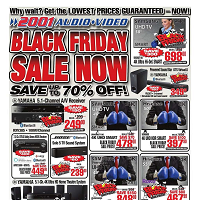 Watch HD videos while scrambling or surfing the web of your digital magazine or e-book. 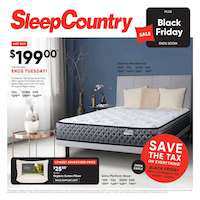 For Black Friday period, this product price discounted for you. Run multiple applications using screen split mode or drag-and-drop windows. Increase security with comfortable and perfect fingerprinting. Open the fingerprint lock by pressing the Home screen button. Use fingerprint verification to allow access to your web browser, screen lock mode, or access to your Samsun account. Excellent. It’s a pretty fast and stylish tablet. the sizes fit in the appropriate bag. When we looked at the previous models of the family, we saw two different screen sizes. 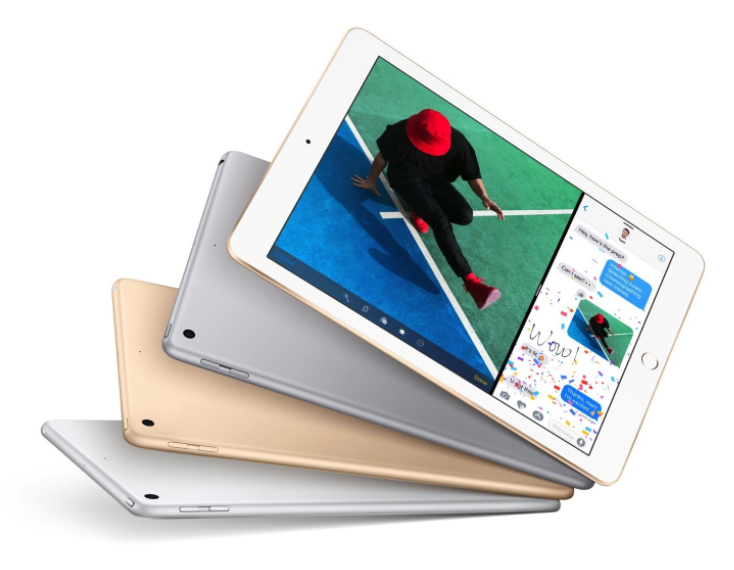 The Tab S, which comes in two different models with 10.5 inches and 8.4-inch screen size, leaves its place to different screen sizes this time. On Tab S2, 9.7 inches to 8 inches are preferred. This naturally also changes the viewing rate. While the Tab S2 and 4.3 image sizes are available to users, of course, both the capacity and models with Wi-Fi and SIM card options are on separate shelves. The model we will examine is the SM-T810, which is 9.7 inches in size and Wi-Fi version. 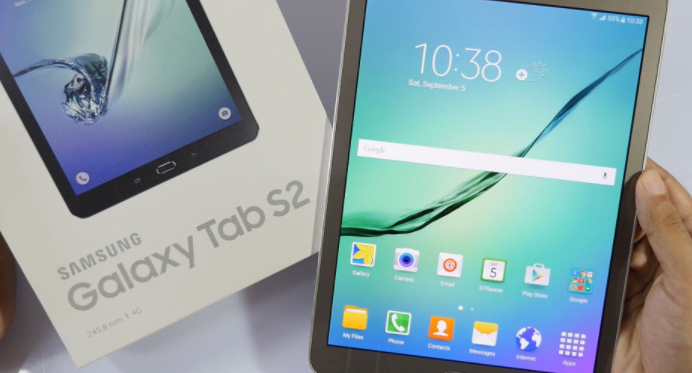 The Tab S2 looks quite stylish with its design. The tablet, presented with a plastic body, is very thin and lightweight. The model in our hand weighs only 389 grams. On the other hand, it has a thickness of 5.6 mm, which clearly makes it very thin. It is possible to say that this measure is lighter than Apple’s iPad. It is necessary to acknowledge that the basis of the lightness lies, of course, of having a plastic structure. But even though the back of the tablet is covered with plastic, the tablet framework is covered with a metallic material. Although the Tab S2 has a plastic surface, the feeling it gives you in your hand is certainly not bad. Because the quality is not compromised and smooth, it looks good on your hands. When we look behind Tablet, we see two little dots here. These points, as can be guessed, are specially designed for those who want to use the Tab S2 with a keyboard accessory. On the right side of the tablet, we see the power and volume buttons. Just under the microSD card slot. Let’s also say that micro USB and headphone jacks are on the lower edge. In the meantime, the speakers are also placed on this side.The screen size of the model we tested for Tab S2 is 9.7 inches. We also said we had an 8-inch model. The display has a Super AMOLED panel as can be guessed. The resolution is 2048×1536 pixels on both tablet models. In Tab S, the resolution was 2560×1600 pixels, while the aspect ratio was 16: 9. In Tab S2, the aspect ratio was changed to 4: 3, which was accompanied by resolution. Obviously, we think that this aspect ratio is more accurate for a tablet. It is obvious that it behaves more user-friendly while browsing web pages. Under the screen, there are capacitive keys as we used to in the previous model. One of these keys allows you to manage the other applications while the other is back. The physical button in the middle serves as a fingerprint reader. Tablet with 3GB of RAM offers two different options for the user in storage capacity. One of them is 32 GB, the other is 64 GB. We also mentioned that Tablet has a microSD card slot. So it is possible to expand the space by 128 GB. We see cameras on both sides of the product. The front has a 2.1-megapixel camera, while the main camera has an 8 megapixel. The front camera is enough for the selfie and video conferencing. 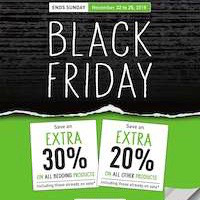 Best Buy Flyer Black Friday Deal GoPro Karma available right now here. 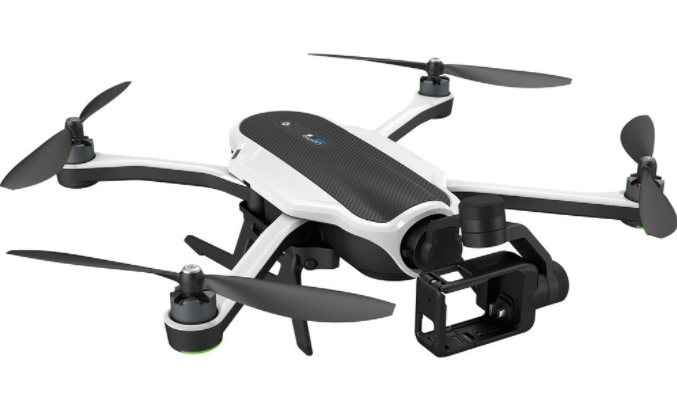 The most striking feature of this drone that you can use with GoPro’s GoPro Hero 5 Black, GoPro Hero 5 Session, GoPro Hero 4 Session, GoPro Hero 4 Silver and GoPro Hero 4 Black models, which is not available with your own camera, is foldability and size. With two DSLR dimensions and a weight of 1 kilogram, you can easily carry this drone into your backpack or even your car’s glove compartment. It does not even take a minute to take this model out of the bag and fly it with a great design and ergonomics. Besides, you do not have to carry a big suitcase with you to get out of the air. With 1 hour of charge, 20 minutes in the air, Karma can go up to 55 kilometers. This drone, which can travel 1 kilometer and reach a height of 4500 meters, has a wind resistance of 35 km / h.
Unlike other drones, the camera is attached to the front of the drone, not underneath it. In this view, it is prevented that the propellers enter the cradle in a wide-angle shooting. The most important factor that separates GoPro Karma from its analogy is the fact that it has a removable 3-axis gimball. You can remove this gimball from the drone and make it available for handheld use (like DJI Osmo). You can also get GoPro with flicker-free action images that can wear your pouch when your gimbal is plugged in. So when you buy GoPro Karma, you have both a drone and a hand gimball, and you have an awesome gumball apparatus that you can customize everywhere. Come on GoPro with the revolutionary features of Karma. Featuring a touch-sensitive LCD display and drone control buttons, this control has a compact design that resembles an oyster. The 720p resolution LCD screen is also designed to be used with polarized glasses that snowboarders use. The Mixed Controller Grip is not just a control but a flight simulator, a Passenger App that allows you to transfer a second monitor image. It features a PlayStation arm with ergonomic controls, a landing button for landing and departure, and a wheel and record entry-exit key that you can use to gimball. Now you do not need to carry large tools for great images from the air. With its ergonomic design and lightweight, the GoPro Karma looks like it will be seen in many productions.